MySQL Server 5.0 is recommended. Typically, development and debugging is performed on a local web server, while the production environment is located on a remote web server. Setting up a remote web server is described in + Deploying a PHP Application on a Remote Web Server Using the NetBeans IDE+. 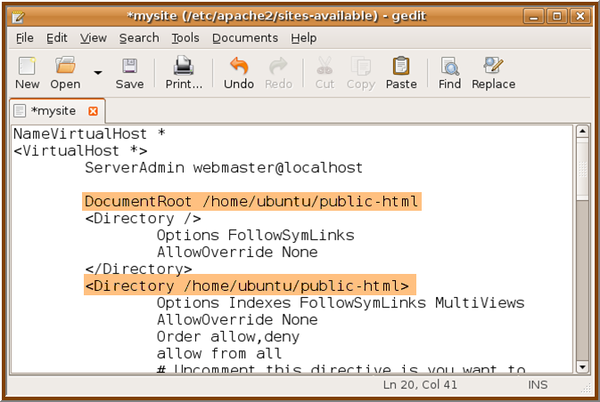 This tutorial has you set up a local web server. PHP support can be added to a number of local web servers (IIS, Xitami, and so on), but most commonly Apache HTTP Server is used. To check that Apache and PHP are installed and running, open NetBeans IDE and create a PHP project. In the index.php file, enter the PHP method phpinfo() . Run the file. The standard PHP information page should display. The browser window displays a Not Found error for ~USER/PROJECT/index.php. Remove the ~USER string from the URL. For example, if this error appears for the URL ~ubuntu/test1/index.php , change the URL to test1/index.php . Note that you can set the URL for a PHP project in NetBeans IDE either when you create the project, or by right-clicking the project node and going to Properties > Run Configuration. To launch the Terminal, choose Applications > Accessories > Terminal. The Terminal window opens. 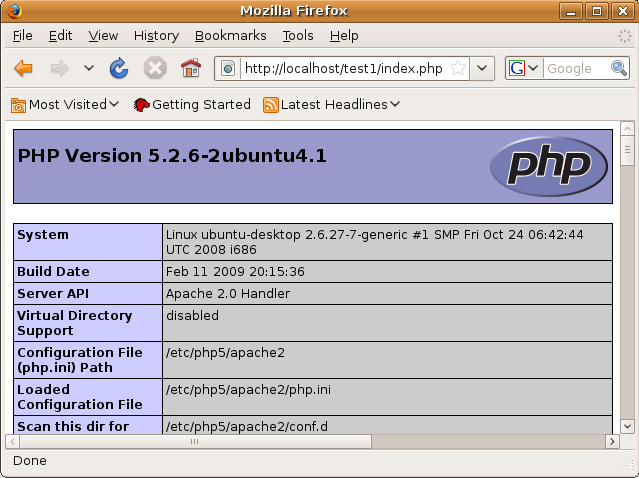 Starting in Ubuntu 8.05, an XDebug package is available, named php5-xdebug . The supported version of XDebug is 2.0.3-1. You can install it with command-line tools or through the Synaptic Package Manager UI. After you install XDebug, you have to modify php.ini as described in Enabling XDebug. php-pear For each item, from the context menu choose Mark for installation. Check + here+ for more details on configuring XDebug.